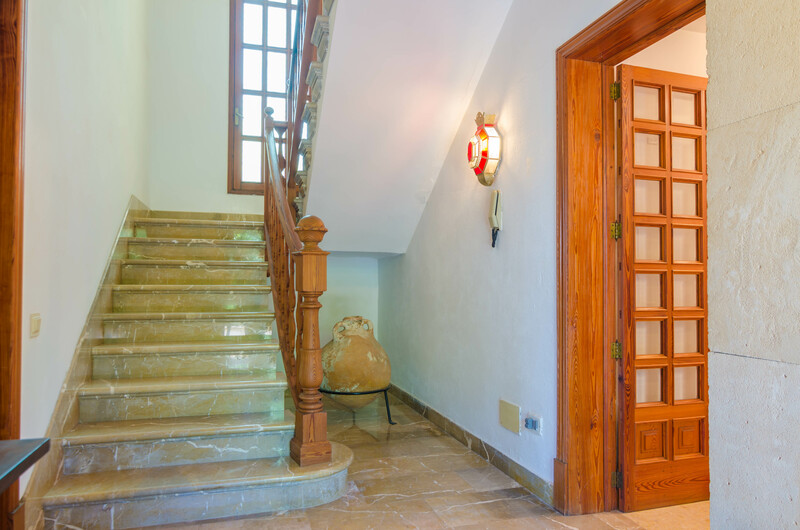 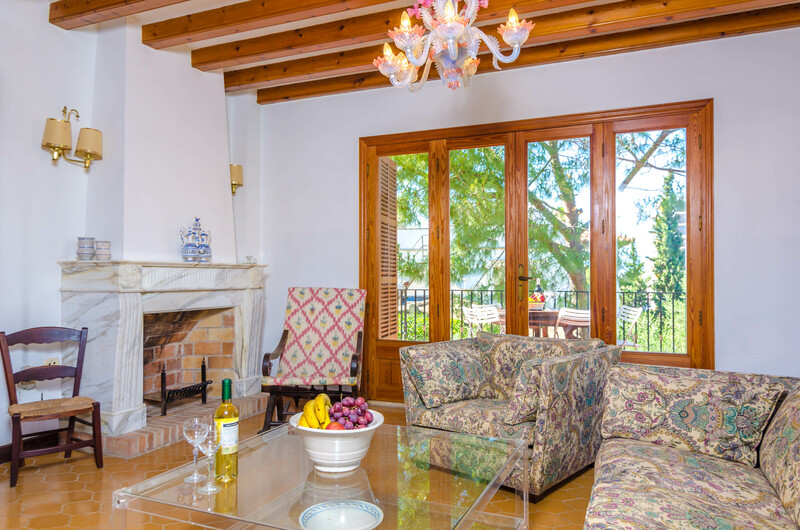 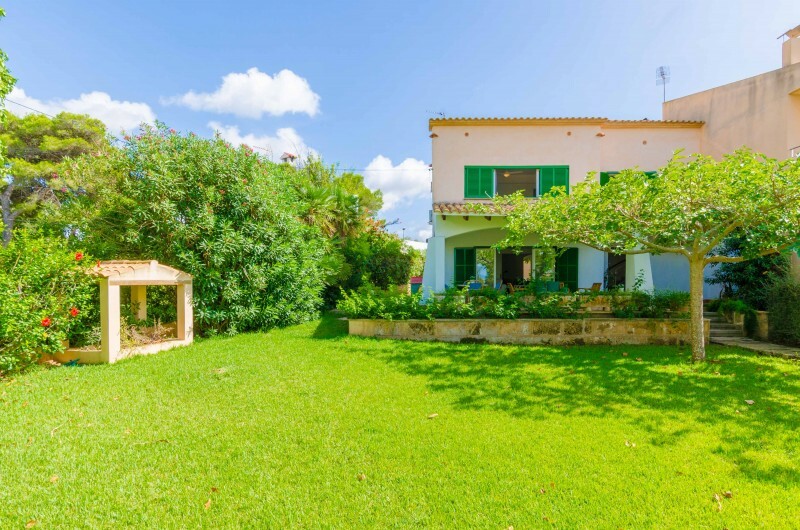 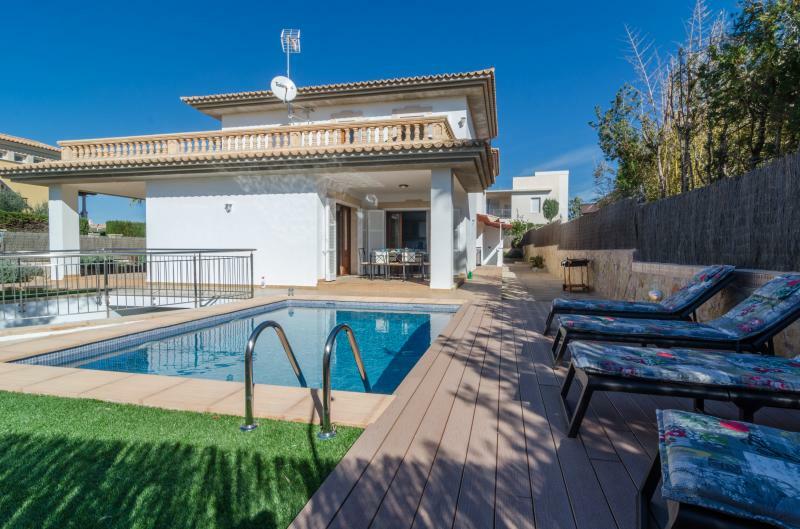 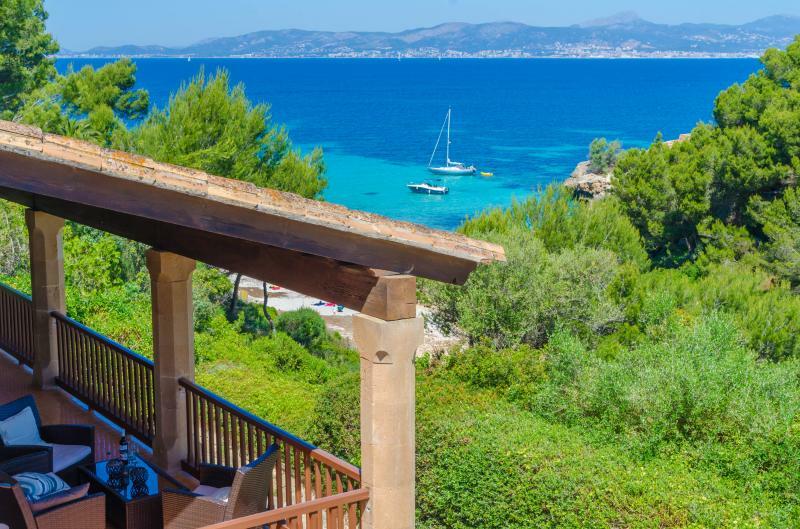 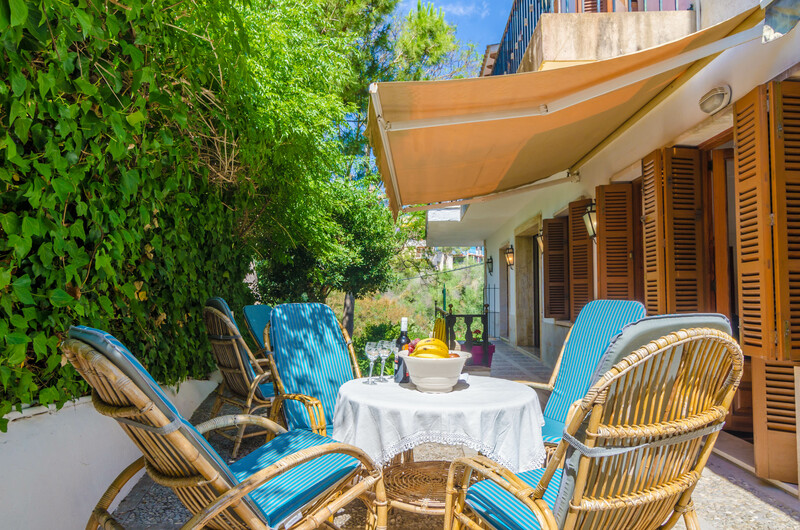 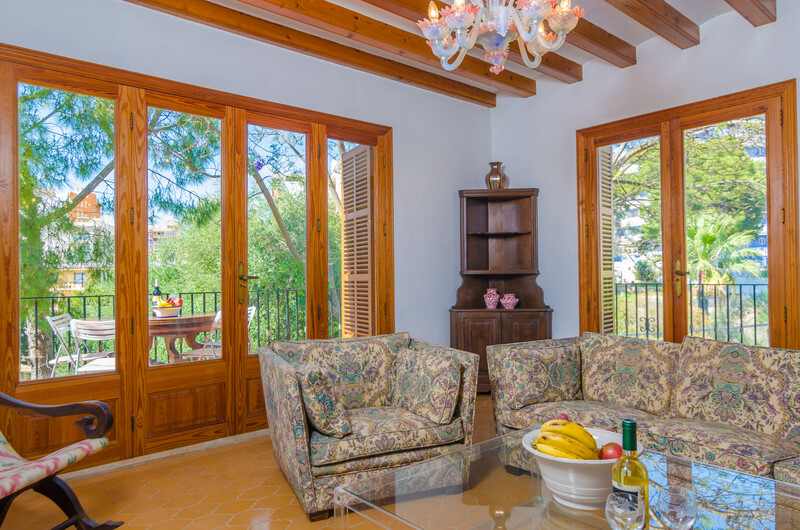 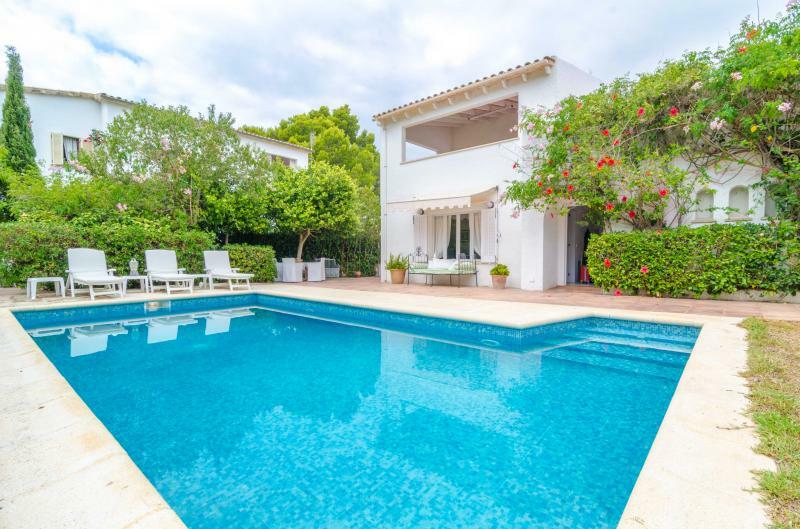 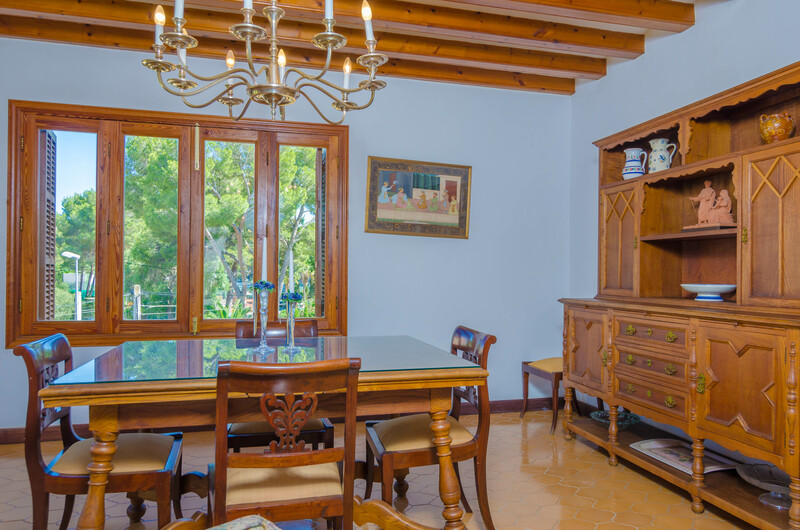 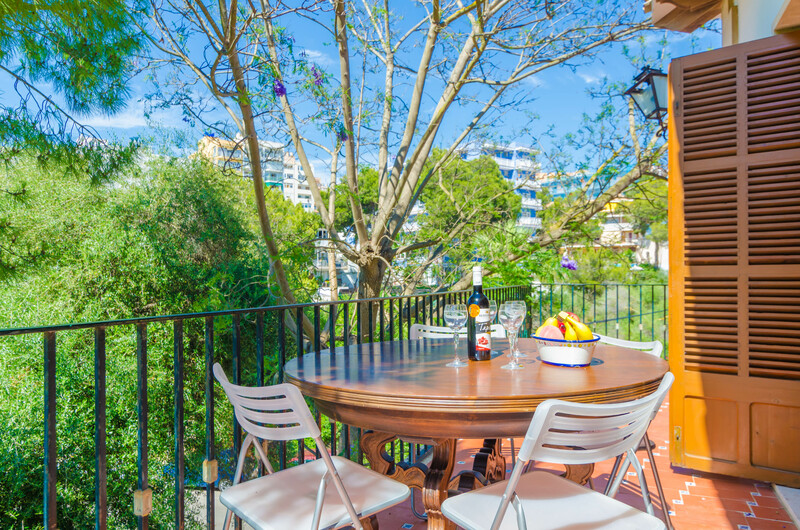 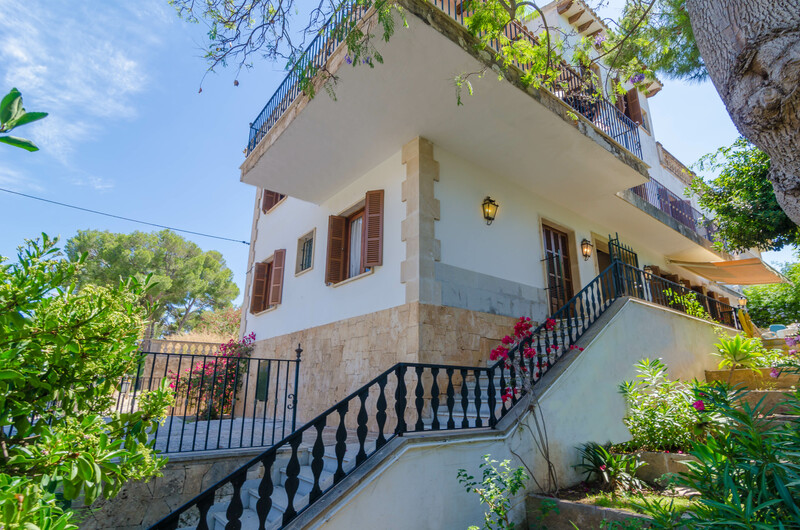 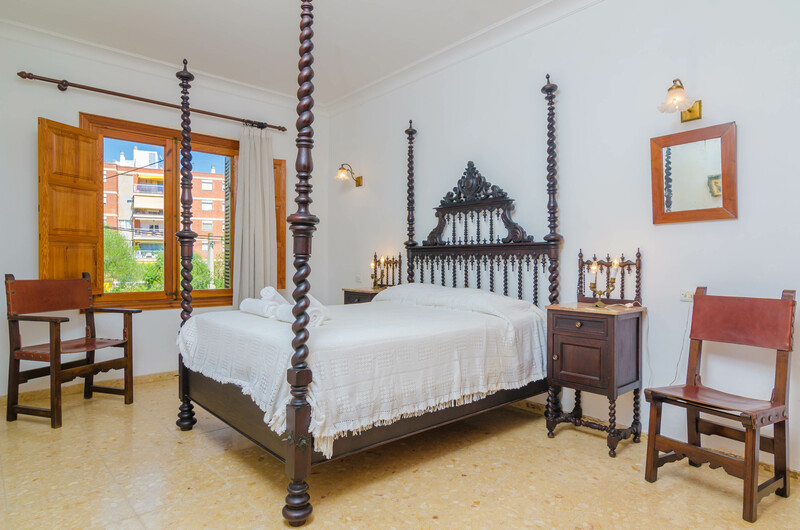 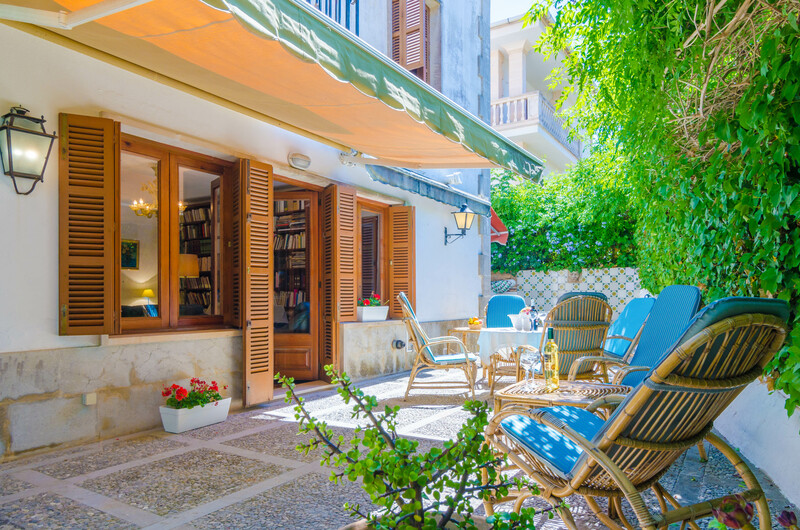 This house offers several places to enjoy the good Majorcan weather. 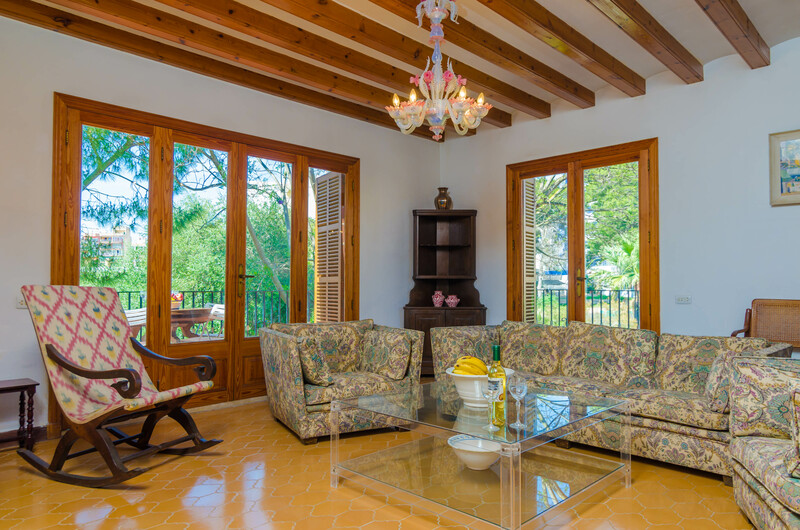 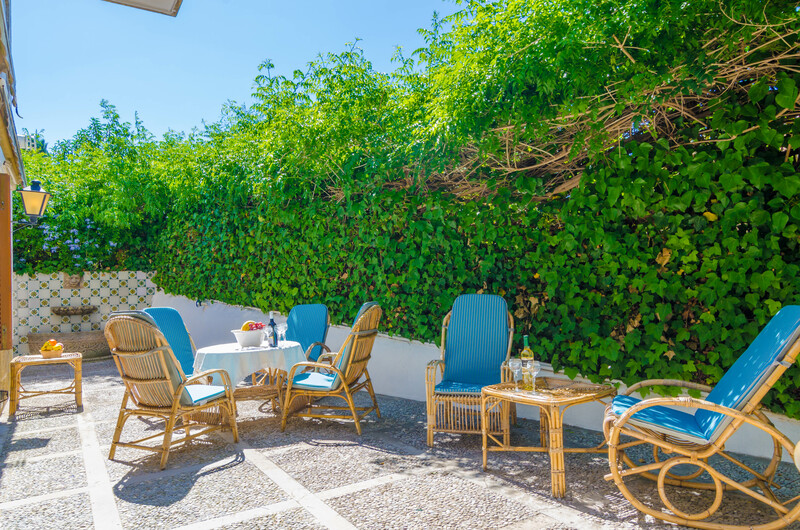 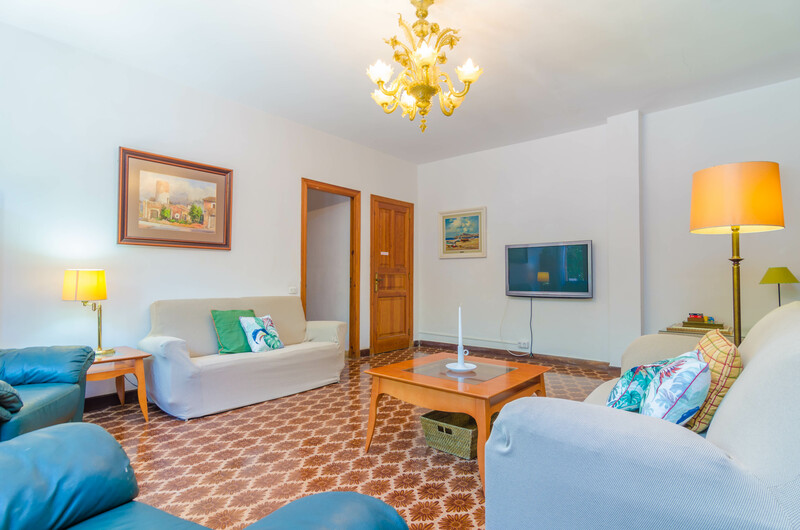 Entering the property you will find an ample and furnished terrace area with different corners to have a drink in the evening or read a book under the awning in the morning. 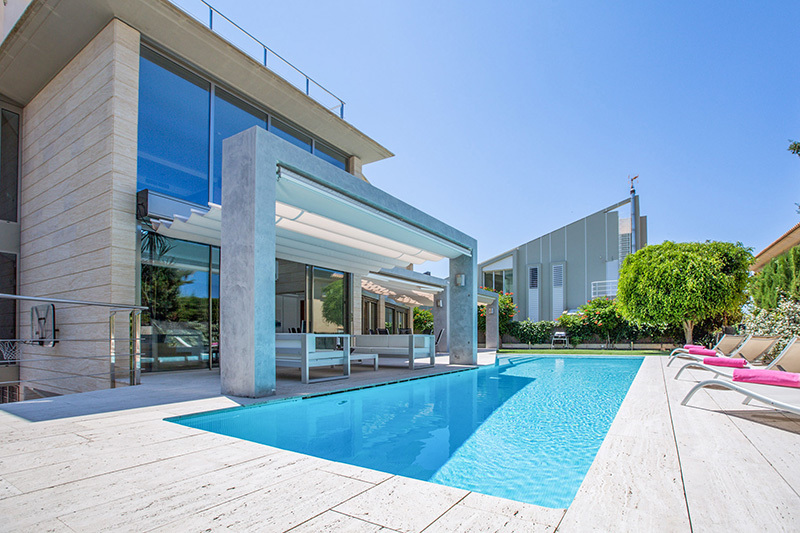 This is an independent house and it is fenced. 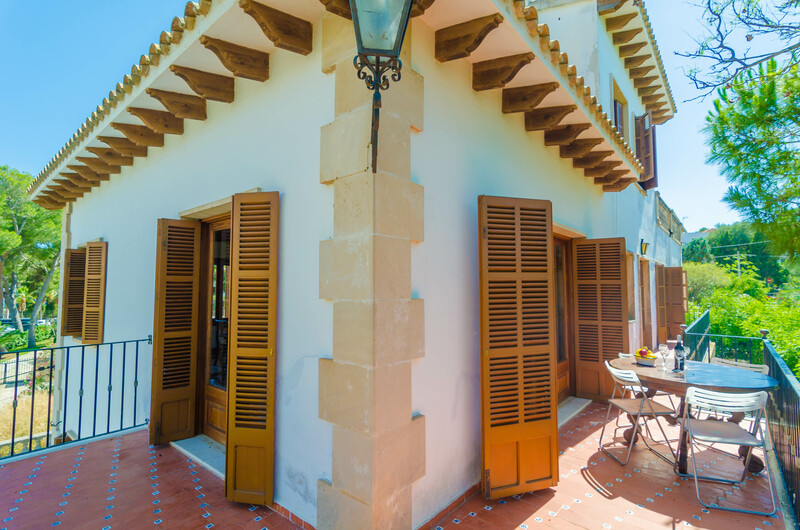 From the terrace we get into the ground floor of the house, which has two more floors. 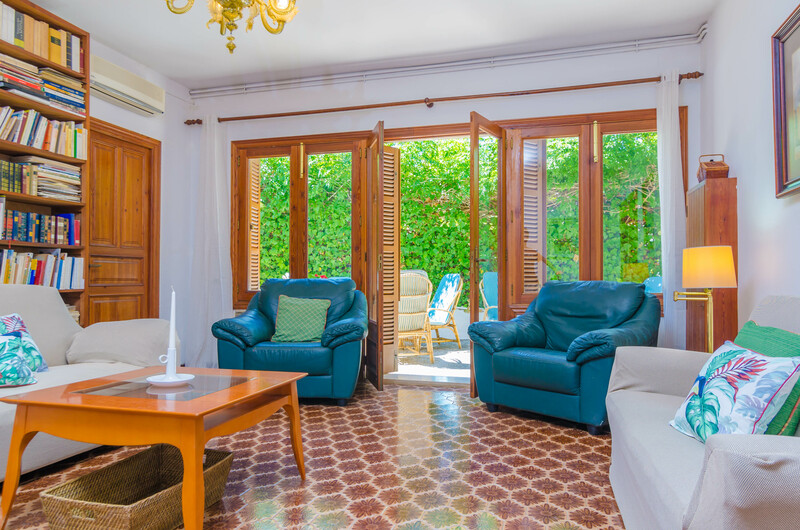 On the ground floor you will find an beautiful living room with sofas and armchairs to watch TV while refreshing with the air conditioning. 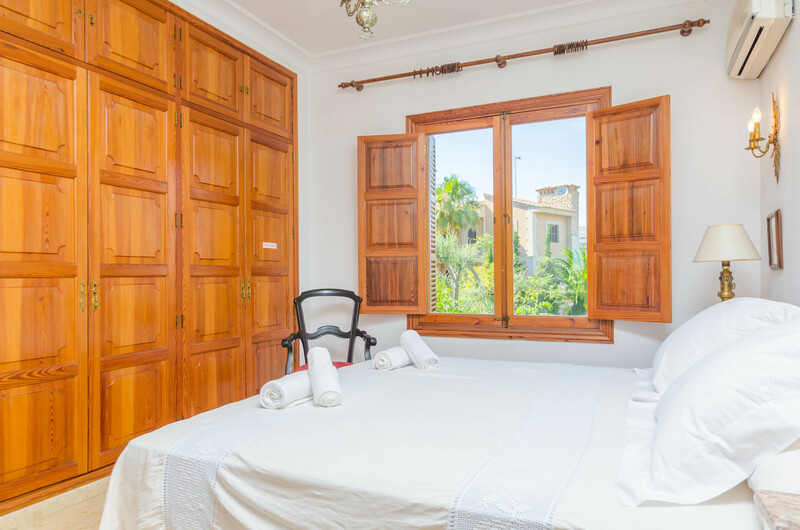 The first of the bedrooms is also on this floor, and it counts with a double bed, a closet and a fan for the hottest nights. 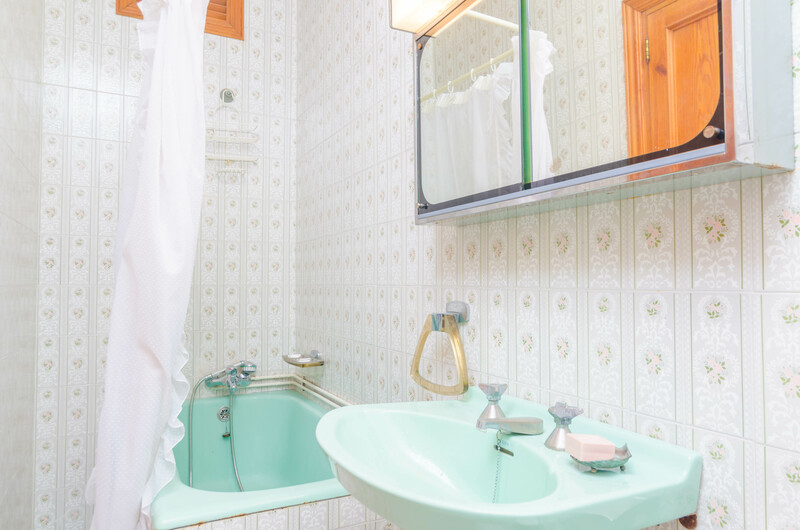 There are also two bathrooms on this floor, both with a bathtub, for the whole floor and the terrace. 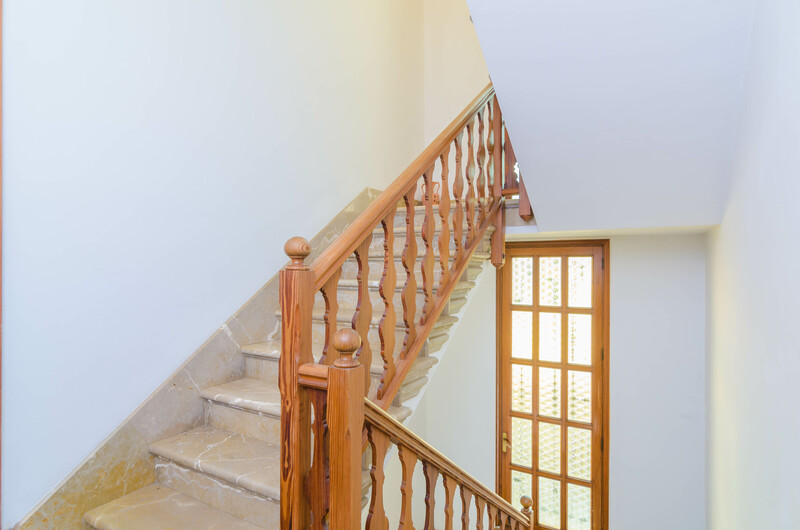 The first floor is the main floor of the house. 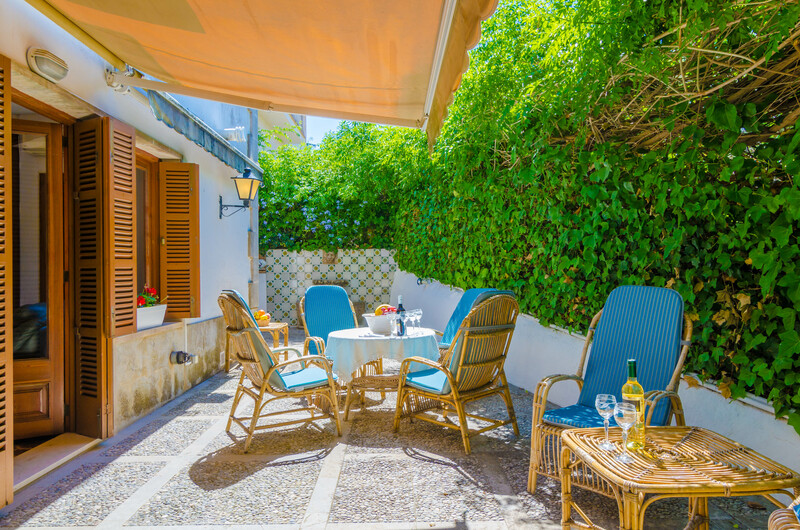 It is surrounded by a wonderful terrace and balcony, also furnished, where you can have breakfast in the morning or a vermouth before lunch. 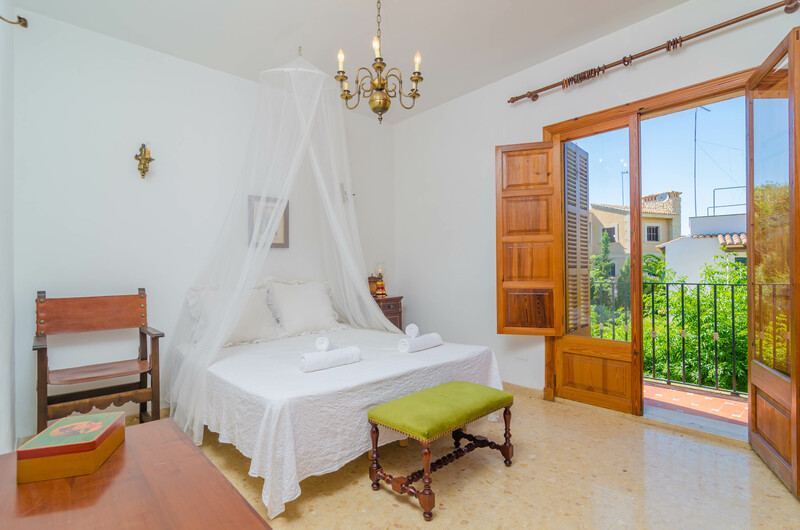 We get there from the main living-dining room which has a traditional style of wooden beams, where you will rest after a beach day. 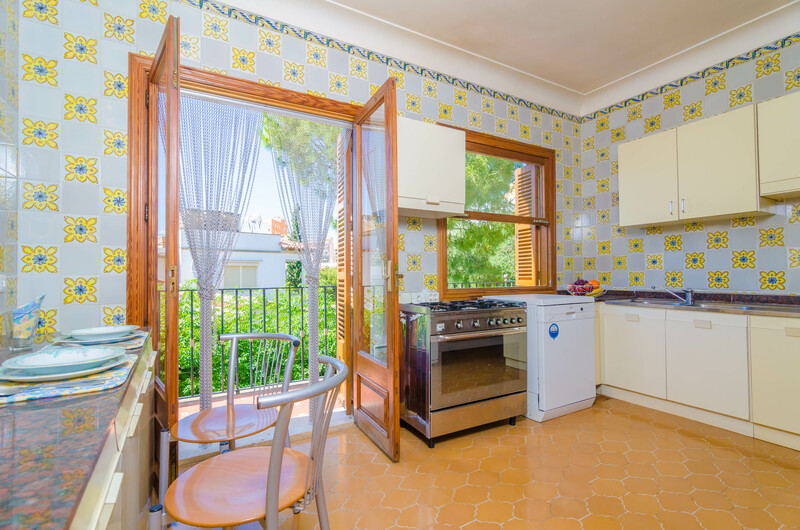 The dining area has room for 8 people. 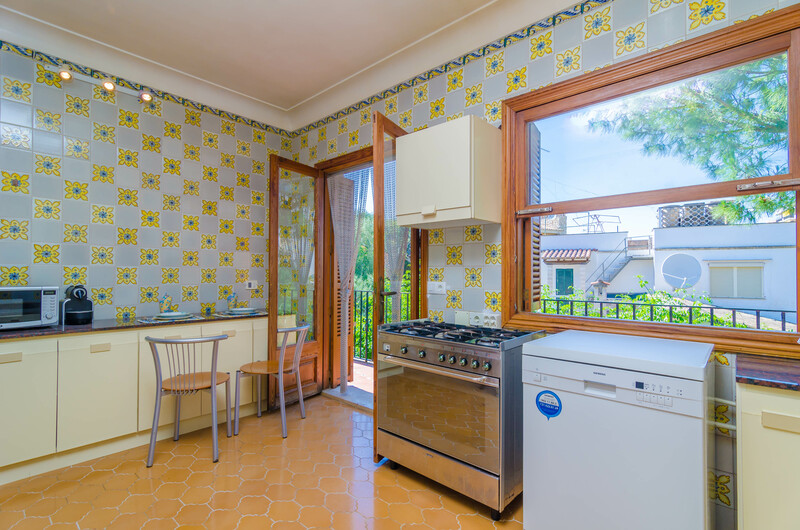 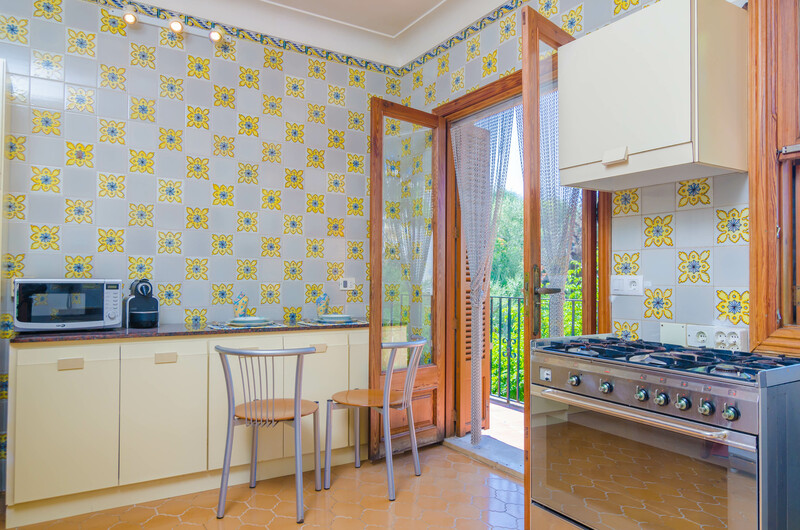 The spacious and luminous kitchen has a gas hob and all you may need to cook during your holiday. 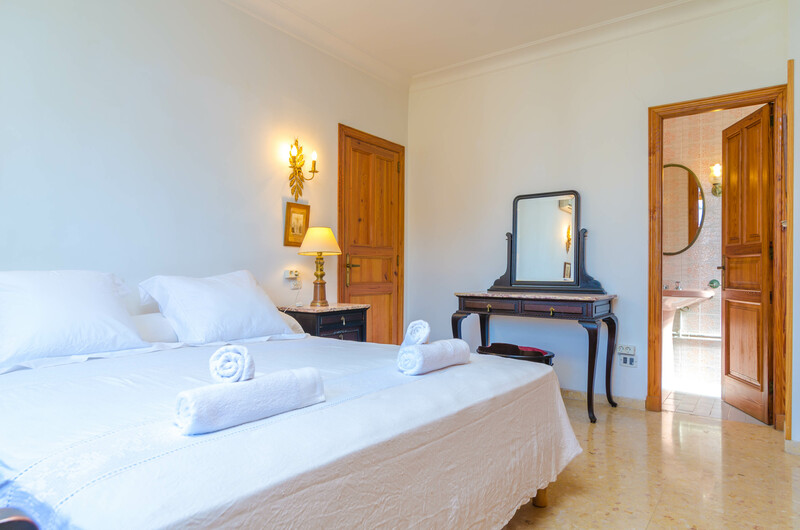 There are two more bedrooms on this floor, both with a double bed and a closet. 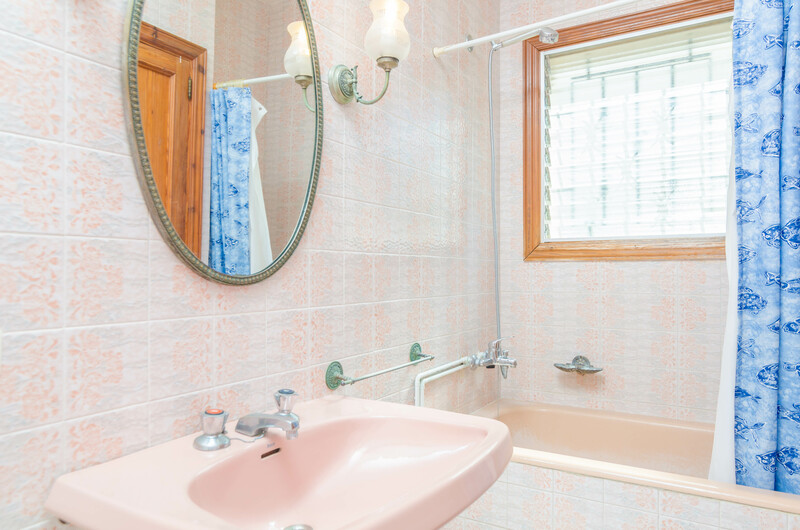 One of them has a fan and the other has an en.suite bathroom and it is air-conditioned. 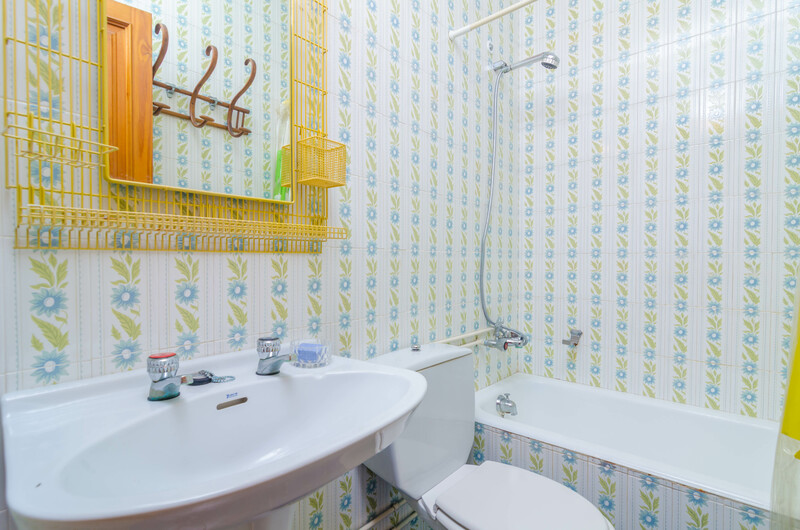 Another bathtub bathroom can be found on this floor. 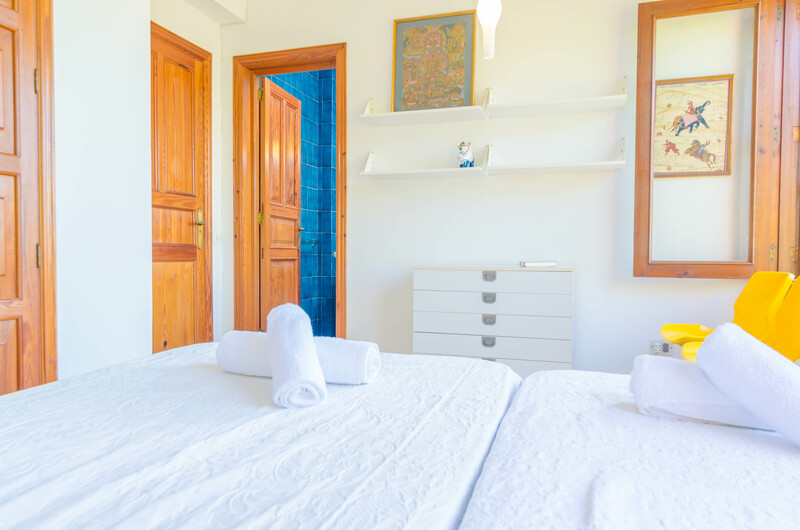 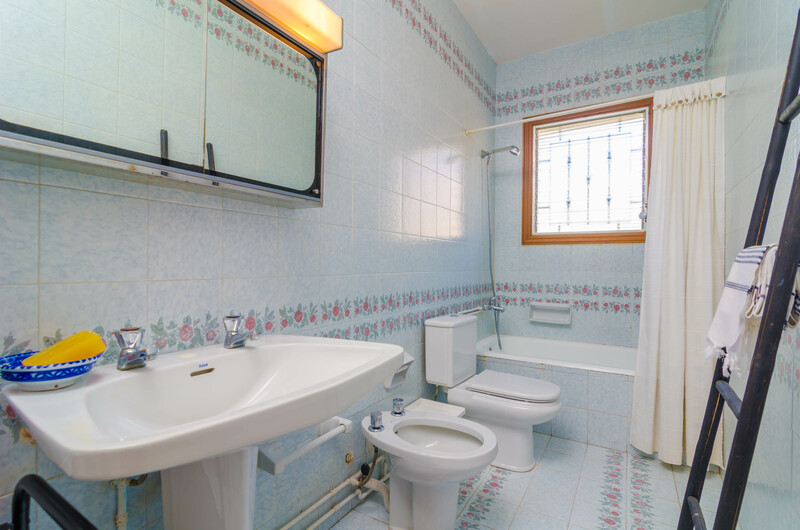 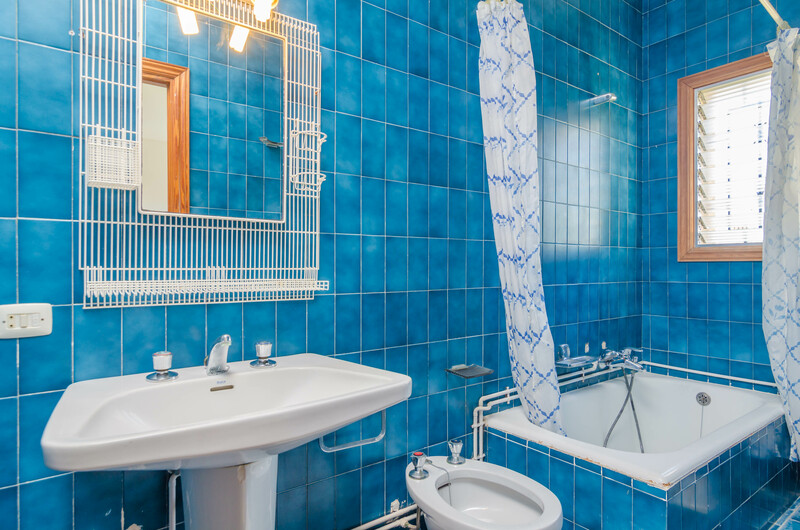 On the second floor, you will find the last bedroom with two single beds and an en-suite bathtub bathroom. 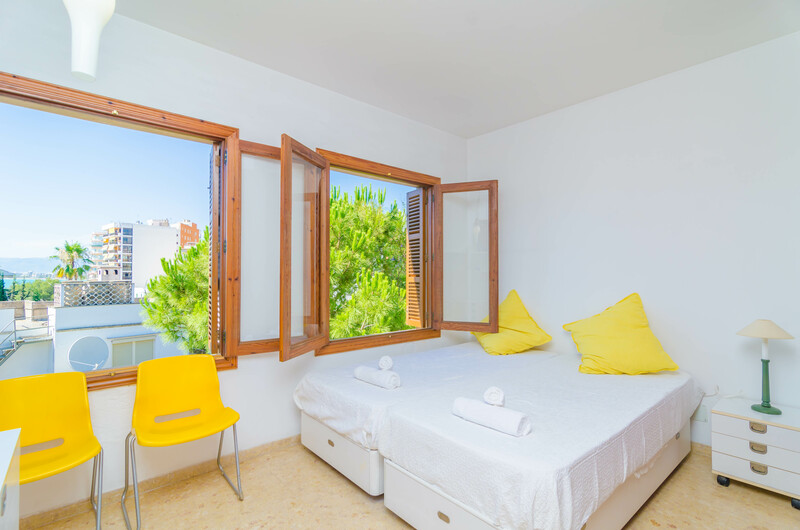 If you are travelling with a baby, a cot and a high chair are also available. 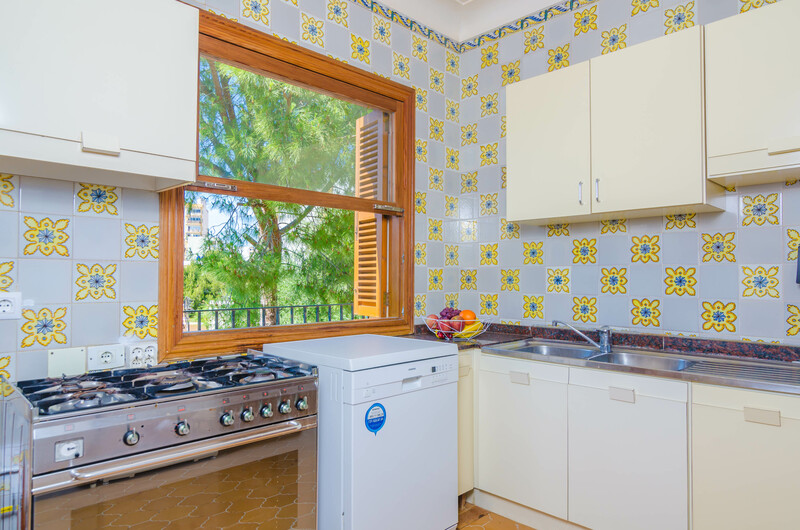 In the house you will also find a washing machine, an iron and an ironing board. 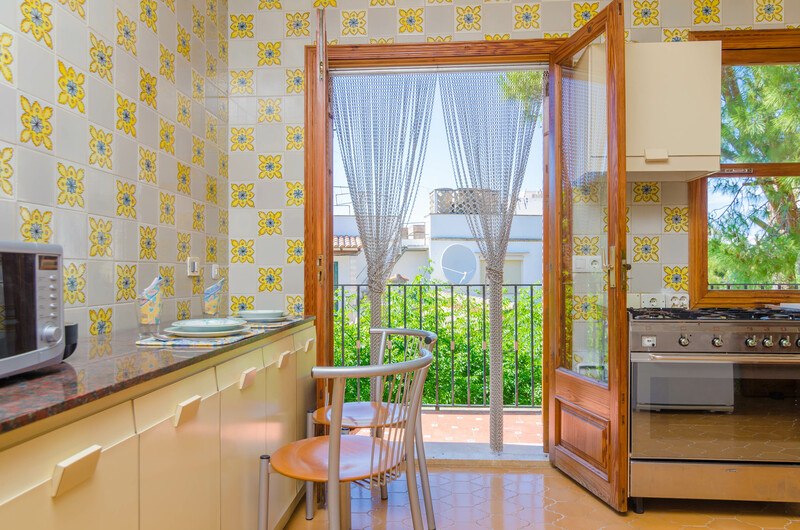 Pets are welcome (up to 5 kg).